Queensland is lagging behind the rest of Australia in vocational education and training (VET). Despite a population boom, in the past decade there has been zero growth in VET student numbers to 2012, with enrolments falling by a further 12 per cent in 2013. 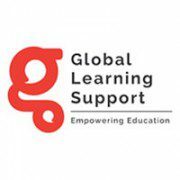 Global Learning Support (GLS), is exhibiting at the ACPET Forum in Brisbane today (29 April) to demonstrate to private vocational education and training providers its unique suite of tools that dramatically improve student completion rates. GLS co-founder, Jarrod Nation, said the Australian economy is evolving rapidly and without skilling, up-skilling, or cross skilling Australians nationwide there will be chronic skills shortages that will halt productivity growth and lead to declines in Australian living standards. “GLS is all about the student. Not only do we conduct due-diligence to ensure that students are suited to courses and ready for their rigours, we also provide them with coaching and mentoring services across the journey of their education,” Mr Nation said. GLS is principally targeted at those studying online where the symptoms of disengagement are much harder to identify than in the classroom. Through the delivery of education, years of R&D, and a genuine commitment to student outcomes, the founders of GLS developed the tools to recognise students at risk of non-completion and implement interventions that mitigate this risk. The ACPET State Forum has the theme: “Quality Governance – Quality Education – Quality Membership” and is being held at the Stamford Plaza, Corner Edward and Margaret Streets, Brisbane, Wednesday 29 April, 8:30AM to 5:30PM. GLS is a leading education services provider. The company partners with education providers and uses its proprietary student support, engagement, and management tools to increase course completion rates. Currently supporting in excess of 25,000 students, GLS tools have seen online course retention rates as high as 98%. One of the keys to the success of GLS is maintaining the human touch even while students are completing their courses online. Across Australia 1 in 8 people (12 per cent) were studying VET courses in 2013 compared with only 1 in 10 (9.7 per cent) in Queensland. Queensland spends much less on education than the national average and the gap is widening. Queensland is the most expensive place to educate a student in Australia behind Tasmania. It cost approximately $17.50 per hour to educate a student in 2010, compared to a national cost of approximately $16 per hour. 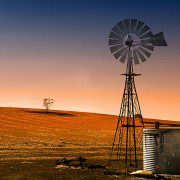 A year ago we explored the question of what was the most valuable role that governments could play in capitalising on supplying Australian food and fibre products to the booming export markets to our north (read article here). During the intervening 12-months our opinion that there needs to be increased promotion of Australian product through a dedicated branding initiative has not diminished. In fact, as the economy goes through the transition that we hear so much about, the need for such action is heightened. Over recent weeks there has been some commentary on virtually the inverse of an export brand in the form of Country of Origin Labeling. Stimulated by the Hepatitis A berry outbreak of February this year, the Department of Industry and Science has conducted two-months worth of industry consultation, and now has a community survey open (CoOL Community Survey) until 3 July. Commendable as it is to consult broadly, it is difficult to shake the notion that this exercise is being guided down a certain path. Admittedly, we did not participate in the industry consultations, however a healthy dose of skepticism is always warranted when community views are gathered in a closed format as this one is. It’s the considered opinion of this business that what is truly required is to burn the Rome of food labeling to the ground and rebuild it in its entirety based on what it is that the consumer wants. Nay, demands. We are living in a Monty Pythonesque food labeling dystopia when food can be ‘Made in Australia’ without using any Australian ingredients. It has been made abundantly clear by the Australian public (who coincidentally consume these products, feed them to their children, and actually pay for them) that they simply want to know where their food comes from. It is our sincere hope the current consultative process yields a clear and concise representation of where the product has come from to permit Australian consumers the ability to make informed purchasing decisions. Now that is starting to sound a bit like a brand.